We are passionate about our events and every event we are involved in, they they raise millions for charity each year and create some amazing memories for everyone involved. Our portfolio is continuingly evolving and we’re always looking for new ideas to deliver outstanding events, if you have an idea or a concept we’d love to hear from you. Goldline Events presents two of the most prestigious and iconic mass participation road races in the UK. 2018 marks a new chapter in both of these fabulous events as we take to the helm. With the aim of making both races even bigger and better, we promise to keep all the best bits and to enhance each and ever runners experience. 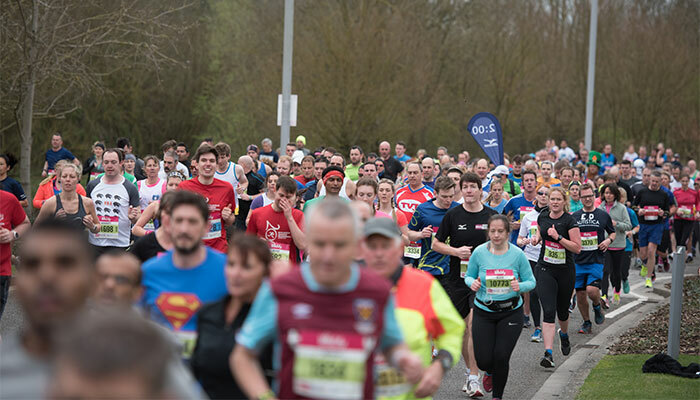 For a spring half marathon the Reading Half Marathon not only takes in the highlights of the centre of Reading where you will experience huge crowd support but also still passes through the beautiful grounds of the University campus. The race culminates in a finish rarely found outside an Olympic stadium with over 15,000 people cheering you into the stadium and over the finish line. 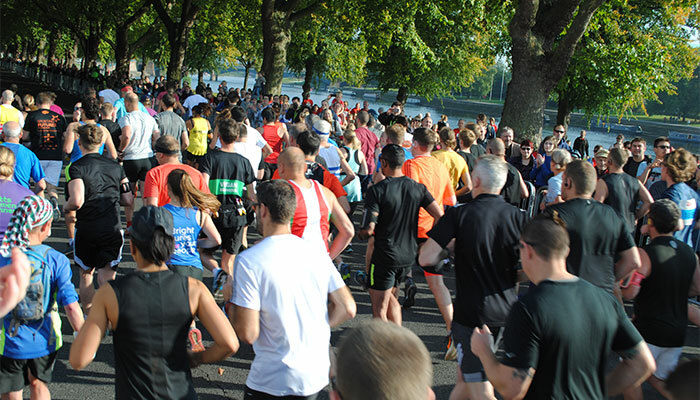 If you fancy something a little shorter there’s also the Green Park Challenge fun run which like it’s big brother starts in Green Park and finishes in the Madejski Stadium. Or if you prefer an autumn race the Ikano Bank Robin Hood Marathon events is a weekend celebration of running starting with a Mile Challenge on Saturday and followed by the main events on Sunday – one of the largest Mini Marathons in the Country and the most picturesque Half Marathons you are likely to run in any year! The route takes you into the heart of Nottingham passing the iconic Nottingham Castle, through the private Park estate, Wollaton Deer Park and Hall (or as we like to remind people Wayne Manor in the Batman Movie! ), Nottingham University Jubilee Campus and of course the fabulous start line at the War Memorial on Victoria Embankment to the back drop of the River Trent and Trent Bridge. 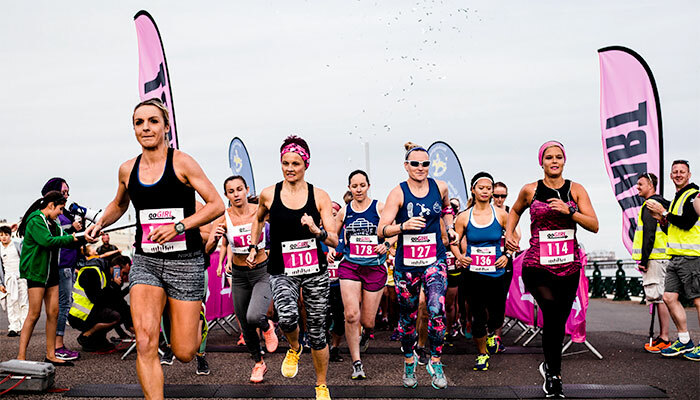 Goldline Events presents a new and exciting night run, in the City of Brighton & Hove the Women Only 5km race and after-party will be like no other. Set against the stunning backdrop of Hove seafront runners will line up at 7.30pm to run the flat and fast 5km loop from Hove Promenade, around Hove Lagoon and back to Hove Lawns as the sun goes down. The race maybe for ladies only but that doesn’t mean we don’t want to see your husbands, partners, friends or family members come along to support you and enjoy the pre and post run entertainment – Men are most welcome and to be encouraged. Sign up now and enjoy a competitive, fast, fun run with like minded ladies, enjoy the relaxed atmosphere, bags of entertainment and of course the best view on the south coast! 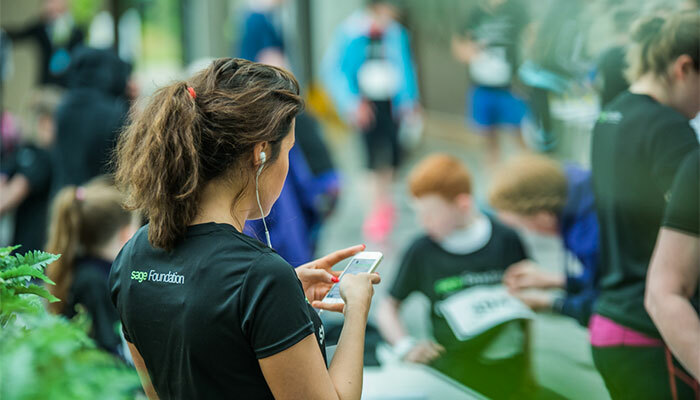 Working with the Sage Foundation to deliver some amazing high profile races for Sage employees and partners across the globe. Launched in March 2017 as part of a corporate wellness programme aimed at raising $1M for Sage’s chosen charity so far we’ve been in Johannesburg, Newcastle, Brazil and Toronto, our next stop is Sydney!